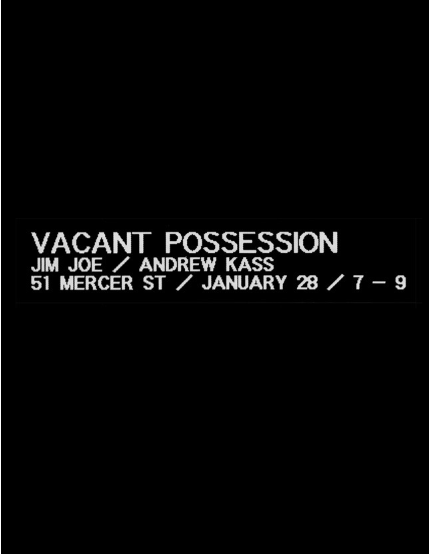 NEW WORKS BY: ANDREW KASS & JIM JOE. THE OPENING WILL BE TODAY, SAT JAN 28, 2017 / 7PM – 9PM. 51 MERCER ST, IN SOHO, NYC. THE SHOW WILL BE UP FOR A COUPLE OF DAYS FOLLOWING – FOR THOSE WHO CAN’T MAKE THE OPENING.